I love sending post. Finding gorgeous postcards and greetings cards, writing something meaningful or hilarious for the recipient. I try and buy in advance and plan ahead so I know that I'm prepared. But more often than not I'm left forgetting, being late or generally thinking how expensive card buying is these days. I've recently discovered the magic that is online cards. No not those little gimmick ones of a dog wagging it's tail. But something that reminds you of a shop bought classic, that allows you to add personal touches and fly it straight to their inbox. 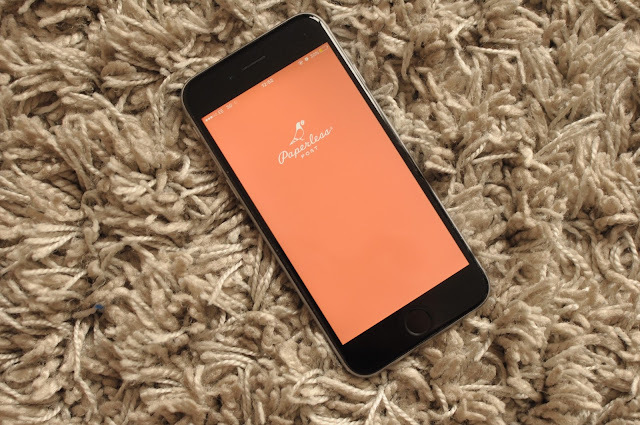 Paperless Post have managed to redefine the idea of letter sending in their fantastic app. 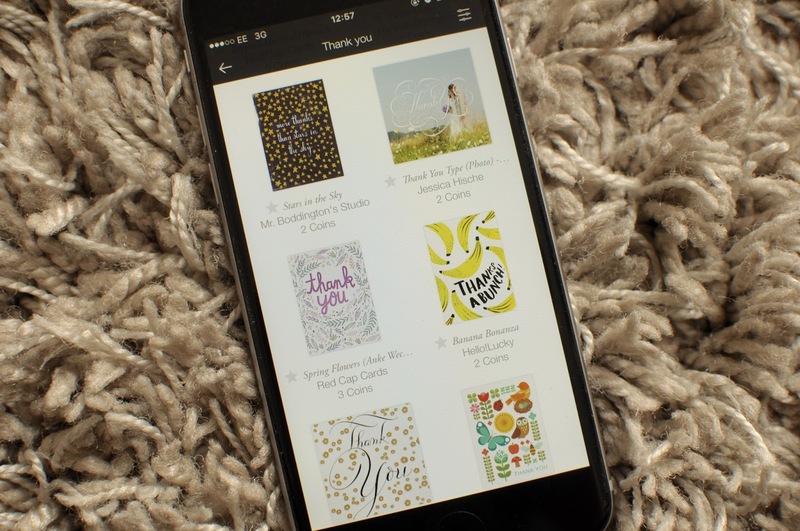 Paperless Post is a fantastic site and app that allows you to send gorgeous cards either physically or online. You can browse, edit and customise to your hearts content to make something that is perfect for the recipient. Once you load up the app, you create an account and away you go. I loved how easy it was and sat there one afternoon flicking through all the designs for hours. There's some handy prompts for holidays (Fathers day etc) and it also allows you to schedule reminders and cards ahead of time so you never have the opportunity to forget. I'm always one for leaving birthday cards until the last minute, so I plan on prescheduling as many of these as possible for people I know. There's also a post box that shows up any cards you have been sent from others which means they won't get lost in the ether of my inbox. I decided that I wanted to test it out and send a few thank you cards to some nearest and dearest who are amazing. When you use the app you can decide if you are sending it online or via paper. Using online couldn't be simpler. You simply buy credits using your in app purchases and away you go. There is a host of free cards as well as ones that cost a few coins. Much better value for money than popping to a card shop. And with a host of top designers (Kate Spade to name but one!) you can guarantee there will be something for everyone. Once you have picked your design you can then edit the text inside. I loved that I could browse through the fonts, write whatever I wanted and make it look as fancy as possible (even though it only took me 5 minutes!). It was also one of the easiest transactions I've made on my phone in a long time. I could even choose the design on the virtual envelope which I thought was fantastic. All in all it took less than 5 minutes to create, write and send which took less time than it takes to dry my hair. Speaking to some friends, they loved that you could pick anything from birthday cards to wedding invites. And with lots of weddings coming up in my circle of mum friends, I think I may have started the early seedlings of a new addiction for us. Move over memes and GIFs, Paperless Post is on it's way. I can see Paperless Post becoming my new best friend when it comes to card giving. Of course it won't stop me buying physical cards when I can, but it's the handy app in my pocket that allows me to send that last minute note to someone that needed it! *Note, I was given some free credits to try out Paperless Post, all opinions are my own.